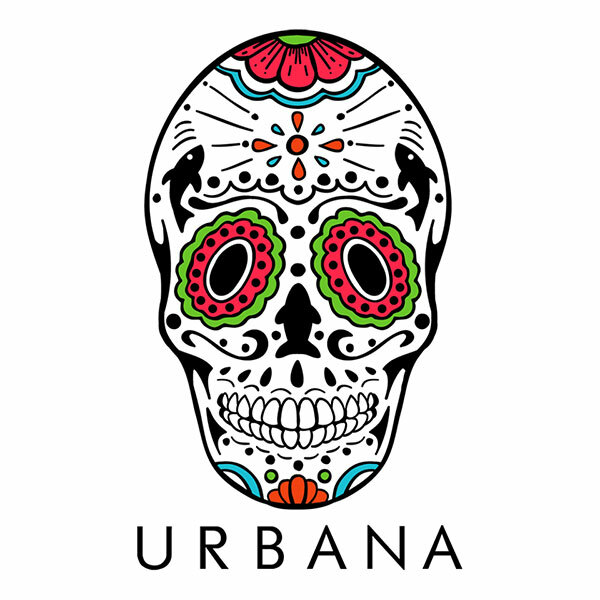 Saturday and Sunday : 11 a.m. -2 p.m.
Monday Friday: 3 - 6 p.m. Saturday - Sunday: 2 - 4 p.m.
Urbana offers 100% natural and fresh ingredients including handmade tortillas, gourmet tacos such as tinga tu taco with cotija, pickled red onion, and micro cilantro. Other delicious items include snapper ceviche, nachos libres, enchiladas suizas such as shrimp al mojo de ajo with green tomatillo salsa, crema fresca, oaxaca cheese, and micro cilantro. Complimenting the menu, Urbana's bar offerings include tequila and Mezcal favorites as well as top shelf agave spirits and a spin on craft cocktails. Day of the Dead mural walls handmade by graffiti artist Samir Evol pay tribute to Javier's MichoacÃƒÂ¡n upbringing where Dia de los Muertos is celebrated. And calacas are hanging in made by an old man from MichoacÃƒÂ¡n who makes them once a year for 'dia de los muertos' out of paper mache.